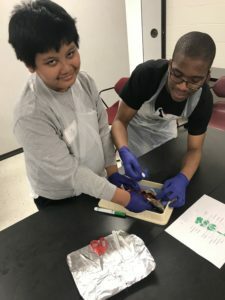 The Crosby Scholars Program is a unique college access program for students in grades 6-12 enrolled in the Winston-Salem/Forsyth County School system. The Program prepares students academically, financially, and personally for successful college enrollment. 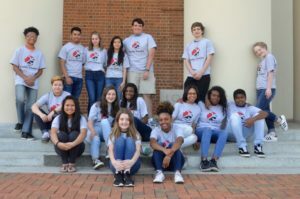 Students participate in Crosby Scholars Academy - a series of academic and personal enrichment workshops that may include test taking and study skills, time management, conflict resolution and a host of courses to help students prepare for college admission. Students perform community service, agree to remain drug free and to obey all school rules and regulations. 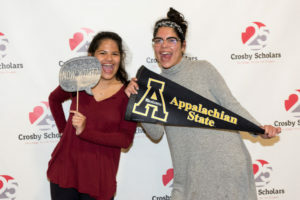 Crosby Scholars receive advisory services, take part in career and college exploration activities, and participate in college admission and financial aid workshops. Students completing the program in grades 10, 11, and 12 are eligible to apply for "Last Dollar Grants" for college. Program applications are available each year to students in grades 6-10. Students attending Forsyth County public schools in grades sixth through tenth are accepted into the Program upon application. Our vision is to ensure that every public school student in Forsyth County has the opportunity to experience the life-transforming possibilities of higher education. completing and documenting a minimum of two hours of community service each school year by submitting a Crosby Scholars community service form by the yearly deadline - Click here to view and print the form. enrolling in the It's My Call/It's Our Call - alcohol and drug-screening program (high school scholars only) Click here to view and print the form. There are many reasons why students should be a Crosby Scholar. The Program helps students understand and plan for the college admission, financial aid, and scholarship process. Each year, students are introduced to workshops, topics, and discussions that help them to better understand and prepare for the college search and college admission process. Crosby Scholars receive timelines and newsletters, attend Crosby Scholar Academies, and participate in community service. During their senior year, Crosby Scholars also receive one-on-one assistance with the college admission and financial aid process. The Program assists students in navigating the ever changing and challenging world of college admissions. Each school has a counselor in the Student Services (Guidance) office who serves as the Crosby Scholar liaison for that particular school. Why Be A Crosby Scholar?